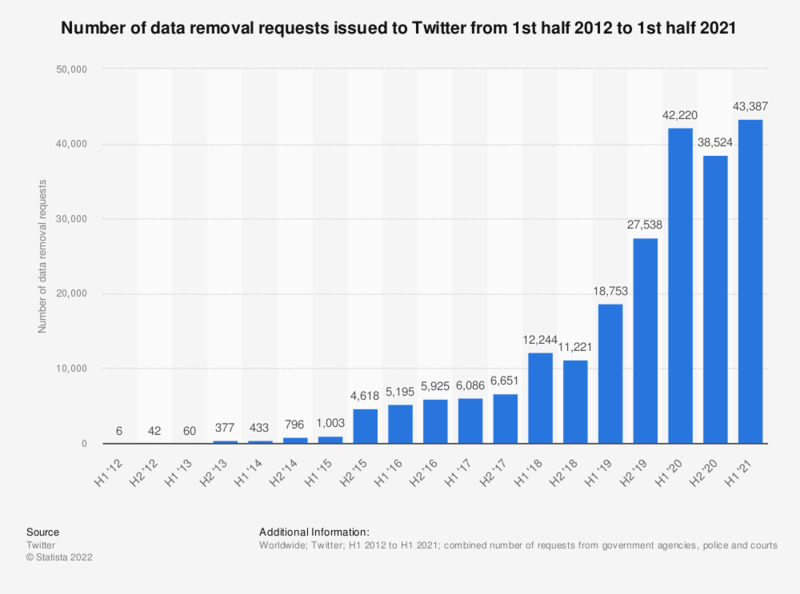 This statistic shows the overall number of data removal requests to Twitter from the first half of 2012 to the first half of 2018. Between January and June 2018, government agencies, police and courts of a multitude of countries submitted a total of 12,244 content removal requests to the microblogging platform Twitter. The latest Twitter Transparency Report shows that Twitter received approximately 80% more global legal demands, impacting more than twice as many accounts compared to the previous reporting period. Combined number of requests from government agencies, police and courts. How trustworthy do you consider messages on Twitter to be?